The following application is required for all coaches to be considered for a U.S. National Team event. If you are a current NCAA Coach and require the NCAA letter approving current NCAA coaches to work USA Football events, you can view and print the letter here. You can also contact Coach Ingram directly at aingram@usafootball.com or (510) 304-4533 and he will provide you with a copy. Thank you for your interest in the U.S. National Team program. 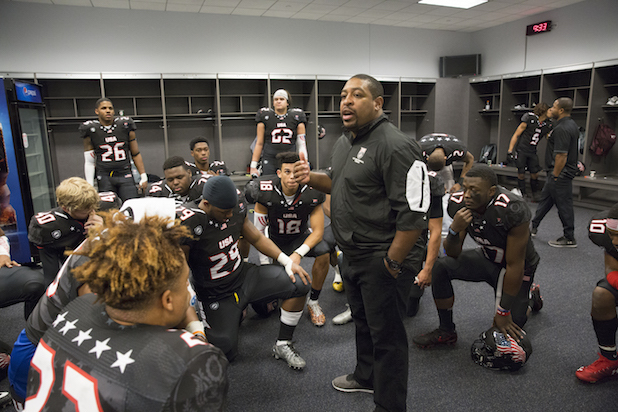 Are you currently a USA Football Master Trainer? What is your current position/title at this school? Select the Regional Event(s) you are interested in working. What is the name of the person or coach who referred you to USA Football? How are you connected to USA Football or why would you want to participate in this program? *Please note that USA Football does not pay for travel expenses, so please choose locations you are able to travel to on your own. Are there any other coaches you would recommend to USA Football? If so, please enter their contact information below.